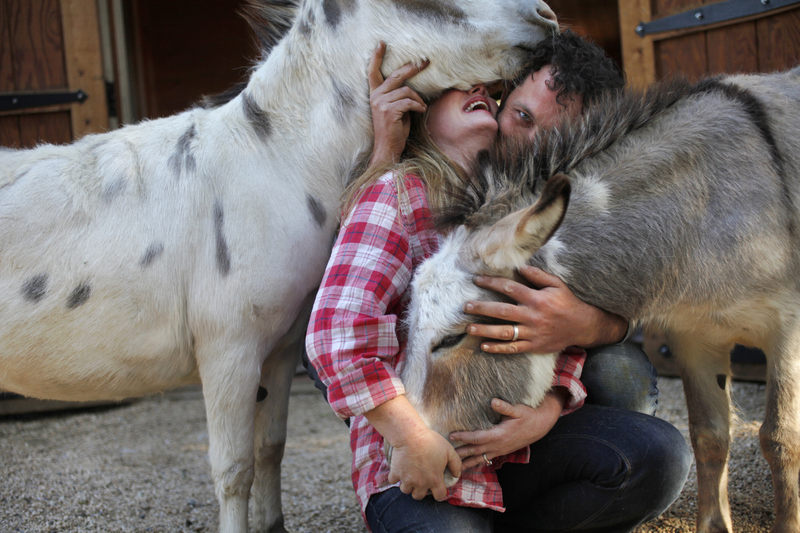 Heather Gillette, 44, and her husband Christopher Carstens, 34, pictured with miniature donkeys Large Marge, left, and Penelope May 22, 2014 in front of their home in Woodside, Calif. The couple bought the land in 2006 and built the barn with horse stables with the intent of living in the upstairs space. Over the years, though, Heather took over the downstairs area. Sometimes animals from their land wander in and out of their home, including ducks, a chicken, three dogs, cats and the occasional horse.